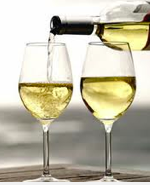 New Zealand wine Archives - Write for Wine: It's Wine O'Clock Somewhere!Write for Wine: It's Wine O'Clock Somewhere! Raise your hand if you knew that New Zealand’s Pinot Noir is right up there with its Sauvignon Blanc in terms of taste and value. Good for you, because we didn’t! Located at the northeast corner of New Zealand’s South Island, Marlborough is known internationally for its Sauv Blancs. But the region is also becoming popular for Pinot Noir. We recently discovered this when we participated in a Nov. 4 Twitter tasting of two Villa Maria Pinot Noirs from Marlborough. Our main takeaway: Either one of these wines would pair very well with turkey and an assortment of sides during a Thanksgiving feast. This good-value Pinot Noir is very approachable and food-friendly, displaying the hallmarks of the region — the aromas of sweet red cherry and berries. This medium-bodied wine is ruby red, with a juicy palate of red berries, cinnamon and herbs. In addition to pairing well with turkey, this Pinot will complement red meats, smoked salmon or aged cheddar throughout the year. Also from Marlborough vineyards, this Cellar Selection has subtle smoky aromas along with red cherries on the nose, and red berry, black cherry and plum flavors on the palate. We preferred this Pinot for its silky mouthfeel, spice and earthiness, and plan to enjoy it during our family’s Thanksgiving extravaganza. Of note, it will also pair well with many traditional sides, including beet salad. Other fall and winter meals, such as lamb or wild game, will go nicely with this wine too. Villa Maria has been a family-owned winery since 1961. In the 1990s, Villa Maria pioneered sustainable viticulture and winemaking in New Zealand, and became the country’s first wine company to declare the winery “a cork-free zone.” Villa Maria has used screw caps from the 2001 vintage onward. 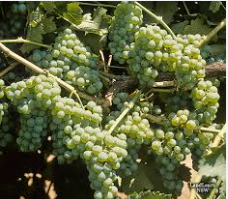 There is a Washington state connection — Villa Maria wines are imported by Ste. Michelle Wine Estates. Thank you to Villa Maria and Ste. Michelle Wine Estates for inviting us to the Twitter chat and providing samples to taste. 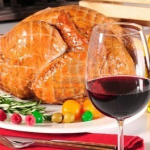 Enjoy these wines at your Thanksgiving table!